The incumbent provides administrative and technical supervision of the BGU. The BG Coordinator proactively monitors daily and weekly move requests to develop daily and long-term staffing matrixes that efficiently meet the operational demands of the Mission. The incumbent is responsible for developing a staffing matrix that equitably manages BG personnel availability while ensuring adequate coverage. The daily operations matrix must be developed in an equitable and transparent manner that maximizes the efficient use of personnel and resources, while minimizing overtime expenditures and reducing BG fatigue. The incumbent schedules personnel and resources (i.e. vehicles) to adequately support protective security missions throughout Tanzania. The incumbent is responsible for proactively addressing movement requests and assigning the proper security assets, ensuring post's movement security posture is commensurate with the current threat environment. The BG Coordinator oversees the BG Unit. Plans and organizes the work and schedules for BG personnel. The BG Coordinator monitors the annual BG budget, stipends and ensures that operations are performed within the constraints of the fiscal budget. The BG Coordinator maintains a close working relationship with the RSO, post's Budget and Finance section, and other stakeholders involved with BG funding issues. The incumbent direct plans and conduct security surveys, threat assessments, and security analysis. The incumbent is responsible for editing, disseminating, and maintaining written instructions to support the RSO's mission. Security instructions include comprehensive written security surveys, orders, inclusive of route plan, region, and venue analysis. Instructions may include satellite imagery, still photography, and GPS plotting, as well as local hospitals and government installations (i.e. safe-havens). The incumbent is the primary liaison for communications with host-nation security apparatus, foreign security services, and local businesses. The incumbent is responsible for coordinating security measures with local entities to enhance post's movement security posture. The incumbent utilizes these professional contacts to arrange access to the venue(s). The incumbent closely monitors the security environment throughout the country to ensure that post's movement security posture is commensurate with the threat conditions. The incumbent works closely with the RSO Office to proactively reroute motorcades from potential areas of instability. The incumbent serves as the BG's primary advisor to the RSO. In this capacity, the BG Coordinator produces venue assessments and area analysis of potential "soft-targets." Incumbent will approve leave, recommend the selection of new employees, recommend disciplinary actions, and monitor performance of the BGU. Must be familiar with Tanzania Police Service, military, security and other government offices to ensure effective liaison and to facilitate effective protective operations including advance and motorcade operations is required. High/Secondary school diploma (form VI) is required. English - Level III (good working knowledge) speaking/reading/writing is required. 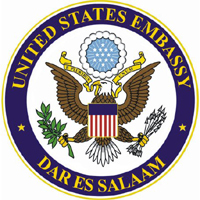 Swahili - Level IV (fluent) speaking/reading/writing is required. A minimum of four years experience in the commercial bodyguard business, civilian or host government police or military is required.